- Our Airport Transfers - 1-2 people 10€; 3-4 people 15€; 5-6 people 20€; 7-8 people 25€. Contact us for details about your flight. - By Train (8-10 minutes) - As you step out of the train station turn right and follow that street. You will pass a Bus Terminal and that street's name is 'Avenida da Republica'. Keep going straight. You will pass Hotel EVA and you will reach a Marina. To your left side you will see a 4 Star Hotel called Faro. Take the 2nd pedestrian street on the right of that Hotel. The street is called 'Rua D. Francisco Gomes'. 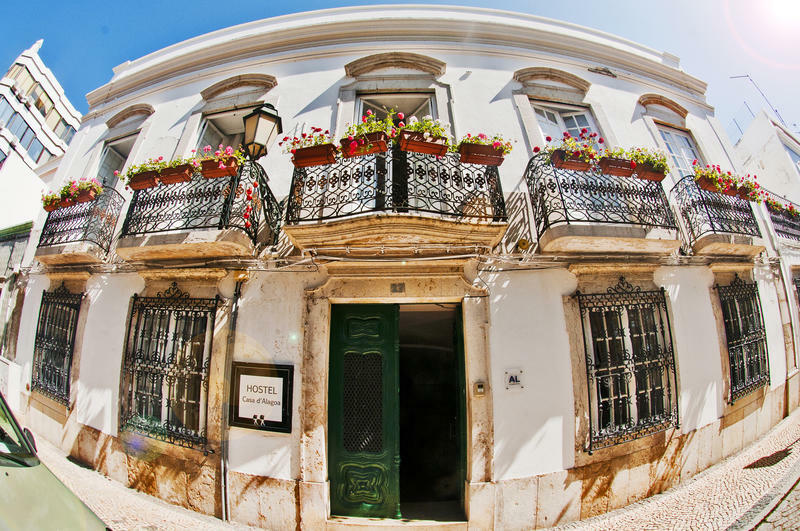 Keep on this street until you reach the street named ' Rua de Santo Antonio'. Walk until the end of this pedestrian street until you reach street with cars, turn right and walk until you see a park. This park is Jardim d' Alagoa and the Hostel is number 27 (it is coolest building you can find on this park ;-). - By Bus (6-8 Minutes) - As you step out of the Bus Terminal turn right. That street's name is 'Avenida da Republica'. Keep going straight. You will pass Hotel EVA and you will reach a Marina. 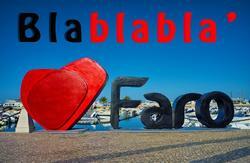 To your left side you will see a 4 Star Hotel called Faro. Take the 2nd pedestrian street on the right of that Hotel. The street is called 'Rua D. Francisco Gomes'. 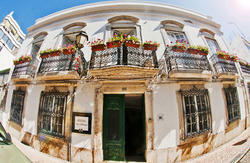 Keep on this street until you reach the street named ' Rua de Santo Antonio'. Walk until the end of this pedestrian street until you reach street with cars, turn right and walk until you see a park. This park is Jardim d' Alagoa and the Hostel is number 27. (it is coolest building you can find on this park ;-).